Here you go ! 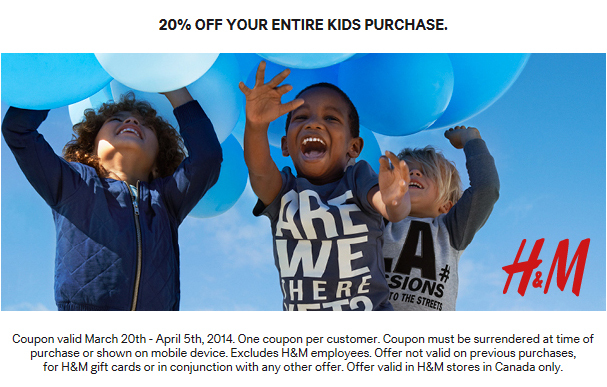 a coupon for some cute kids clothes ! Click on the picture to PRINT the coupon. I've had success showing the coupon on my mobile but it all depends on the sales staff (some asked to show them the coupon email, which I told them I don't have data on my phone so I can't access it !). Enjoy !